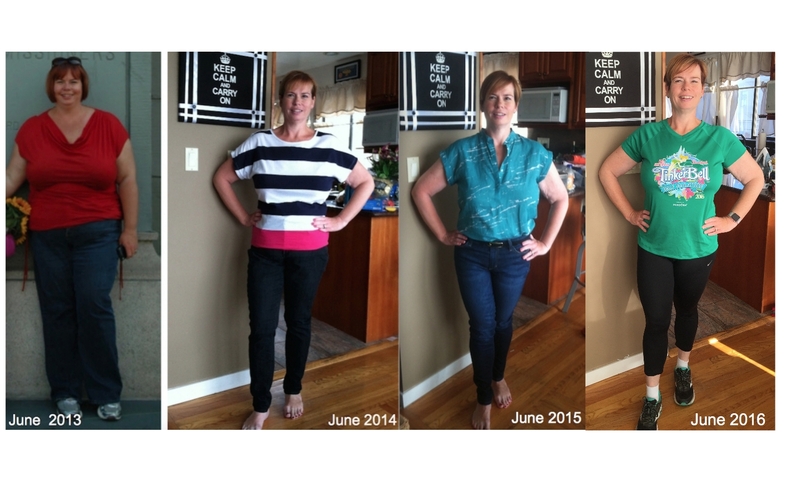 Three Years and Counting: My Gastric Sleeve Anniversary Month! From 2013 to 2016, I’ve made many changes to my life through gastric sleeve surgery! First, I’ll start with the failures. Well, maybe failure isn’t the right word, but at times my mistakes or missteps feel like overwhelming failures. First, I’ve gained weight this year. I’m up eight pounds from last year. It feels like I’ve gained a ton of weight, especially when I put on my jeans. Tight jeans are not fun nor comfortable. The fact I can put them on still is a relief, but at the end of the day, I can’t wait to get them off. So what happened this year? A few things, but I must admit, I’ve had a bit of an invincibility complex. “I’ll just eat a pastry with my coffee today, but not the next time.” Guess what I did the next time? I always laugh when I read online about how gastric sleeve surgery is a short-cut and the easy way out. Well, I’m here to tell you that gastric sleeve surgery is not an easy lifetime fix. Sure, I lost over 100 pounds in a little more than a year, but weight loss still isn’t easy for me. I don’t mean to burst anyone’s bubble who is thinking about weight loss surgery, but I think it’s important to be honest about the reality of surgery. Sure, my small stomach keeps me from eating too much at one time. I still eat smaller meals, but snacking is still a problem. And if I decide to treat myself with food like chips, I can eat more of that than I can something like vegetables or fruit. This year I’ve fallen into the trap of pretending that one little treat like chips or sweets really doesn’t add up. Um, yes, yes, it does! This year it was like I had a Superman logo on my chest, but mine said “GSS” for gastric sleeve surgery. The sleeve is not a shield keeping me from food. It’s not a shield from the stress and depression I experience. Yes, food can be my Kryptonite, but unlike Superman, I can’t avoid it. I have to eat to live. So since June 2015, I’ve told myself that the weight I’ve gained will come off easily when I get to it. Well, now that June 2016 is here and that hasn’t happened, I’ll call part of this year’s journey a failure. I ran a half-marathon! 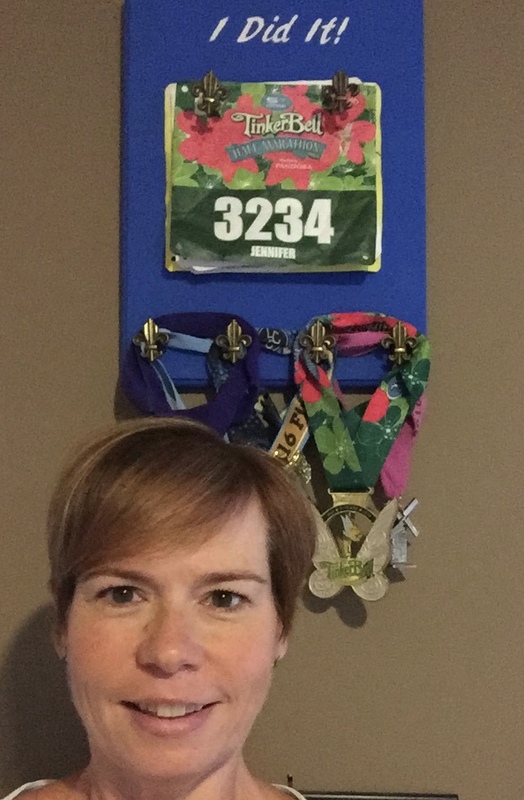 Yes, this woman who didn’t consider herself athletic three years ago, ran 13.1 miles… for fun! I followed a training plan and did it. Yes, I am very proud of myself! I set a goal to do it and I did it with the overwhelming help and support of my family and friends. I sought help during the most stressful times. I found that acupuncture and therapy were two ways I could improve my health, both physically and mentally. There are times when you need people outside your family and friends to help you see the big picture and to work on ways to improve your health. There is no shame in asking for help when life get tough. I didn’t buy bigger clothes. To some, this might seem like a strange success, but in the past, I would just buy larger clothes when I gained weight. Trust me, it’s easier to buy clothes than lose weight, but it doesn’t make you feel any better. I’ve been tempted to buy the next size up in jeans, but I won’t let myself. I know that I can maintain my current size with a little room to spare. After having a year filled with failures and successes, where do I go from here? I think acknowledging how my failures have come about is the first and most important step in my continuing journey. I need to be accountable for the foods I eat and I’ve gone back to tracking my food on MyFitnessPal. I’m aware of what I’m eating, and more importantly, when I’m eating. Realizing that I’m eating when I feel stressed or bored, is helping me think about it. I’m saying no to sweets with my coffee and realizing that I’m just has satisfied without them. Write more! I keep saying I’m going to turn my blog into a book and that I want to write my first mystery novel. Well, no time like the present! I’ve learned that I need to separate my writing time from my “mom time.” Trying to concentrate at my house with all my “home responsibilities” is tough for me. I’m learning to get over the guilt of “me time” and learn to accept the help my ever-supportive husband gives me with a thank you and then head out the door. Find new types of exercise! I will always run because I love it, but I know I need to try new exercises to help my body and mind stay healthy. I’m starting small with the seven minute workout app that features body weight exercises. This might be the year to add in yoga regularly or start Pilates. I’m open to new workouts, but I’ll never say no to a run. Have more faith! What in the world does this mean? Well, when life is tough, I tend to feel it with every bit of my heart, head and soul. Sure, I make statements like “Everything happens for a reason.” and “It always works out for the best.”, and while I do believe it, I don’t always act like that. I can get depressed, stressed, and angry about things, many of which I can’t control. While I always pull myself out of this state, some times my feelings go on for too long. And I know this affects my health, especially when I use food to numb or comfort myself. I hope that writing, exercising, talking it out, and some good old-fashioned prayer will get me through the pain and stress faster, and hopefully, lessen these situations. While it’s been a tough three-year anniversary, I’m thankful that I can share the ups and downs of my weight loss journey. Keeping off 90+pounds for these past years is a success and I remind myself of that every day. And I will also remind myself that losing weight isn’t a onetime moment for me. I will always have to work on my health; it’s just part of who I am. Accepting my shortcomings as well as taking pride in my successful traits, is an important part of my journey as I continue to go Down the Scale toward year four…. Today my ever-supportive husband hung up the wonderful running bib and medal holder he made for me. Since I started running in 2012, my bibs and medals have been scattered around the house. It was wrong to treat them as knick knacks because they aren’t just meaningless objects. The awards from the races are tangible rewards of my heathy lifestyle that I started with my gastric sleeve surgery and continue to strive for each and every day. “I Did It!” Why, yes, I did run all these races featured on my new display. It still amazes me that running is part of my life. From obese to a runner…my Down the Scale journey makes me so happy! Since I’ve become the healthier version of myself over the years, I’ve realized I have many tangible results. Obviously I look different. I’m in better shape and happier than I was before I took charge of my body and mind. Photos from the past compared to the present show the obvious difference. Smaller sized clothes, a collection of race t-shirts, and a closet of running shoes and accessories also prove my new lifestyle is a reality. The way I live my life is more tangible proof that I’ve changed for the better over the years. While I’m still battling some weight gain this year, I am healthier according to my scale and by my blood work. My normal blood pressure and “regular” sized clothes are part of my life now. Now that walking and running are part of my life, I can see how sedentary I was before I made the decision to change my lifestyle. So what are the intangible results of living healthier? In some ways, the way my life has improved since my surgery is hard to quantify. Everyone can see results through numbers and pictures, but I think the “hidden” improvements are the best. My improved disposition is measurable proof that a healthy lifestyle does make a difference. Trust me, I’m not overly perky or positive, but I don’t think I’m Debbie Downer either. And of course, I still battle stress and depression, but I know that I handle it better than before. When I face difficult challenges, both physically and mentally, I know I will get through them. My weight loss story shows me every day that I can tackle what life hands me!